Will Nutrition Policies Ever Change? - Who writes them? So I’ve heard that LCHF is the punk rock of nutrition. Rebellious, curious, defiant, political, not afraid, and ‘alternative’. Yet in reality it is mild mannered scientists that are simply trying to correct decades of poor science and ill advice. I’m no activist, but I want to know (as do the thousands following) who makes the nutrition policies and how can we ensure they’re being revised and updated. The science has been around for decades so why are the guidelines not changing? There is no evidence for the low fat diet and study after study supports low carb in virtually all health outcomes. So why are these 40 year old guidelines still hanging around? Or maybe it has started with WHO (World Health Organisation) draft guidelines which will reduce the recommended sugar intake to 6 teaspoons for adults and 3 teaspoons for children per day. There have been a barrage of articles within the last few weeks showing where the money comes from for health research, which in turn leads to guidelines and nutrition policies. These nutrition policies filter down into marketing, advertising and translate into products being reformulated to suit the current recommendations. 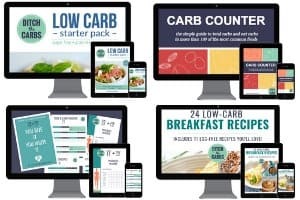 I’ve always said that I’m not writing an academic thesis here at Ditch The Carbs, but simply sharing low carb, sugar free recipes and current articles, but I am increasingly asked “what is the game plan” “what is being organised to change policies” “who is in charge”? – and seriously, I would love to know. Recently the world’s first Low Carb High Fat Health Summit was held in South Africa. It has been an unparalleled success, with 16 of the worlds leading experts. Professors, doctors, scientists, researchers, surgeons, and dieticians. They offered an open invitation for any sceptic to attend and have an open debate with solid scientific evidence that LCHF is causing any harm – it appears the sceptics were all too busy to attend. So how does that promote open discussion? What I love about LCHF is that it is scientifically based and the experts welcome debate, but it would seem it is the opposite from those in power. 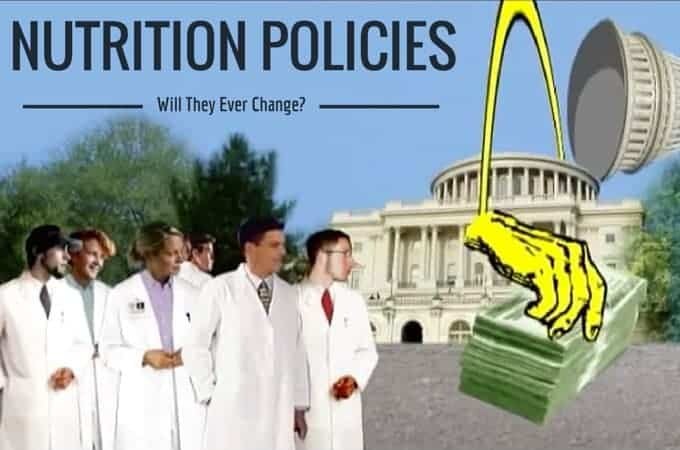 The mission statement from the summit is this – “The mainstream dietary advice that we are currently giving to the world has simply not worked. Instead, it is the opinion of the speakers at this summit that this incorrect nutritional advice is the immediate cause of the global obesity and diabetes epidemics. This advice has failed because it completely ignores the history of why and how human nutrition has developed over the past 3 million years. Sugars Web Of Interest by the BMJ – An investigation has uncovered evidence of the extraordinary extent to which key public health experts are involved with the sugar industry. Have a play with the interactive sugar web on a desktop/laptop to see where the links are. You cannot tell me that these companies would continue to invest if there weren’t favourable outcomes for them? Many of the advisors are also on advisory panels for the food and beverage industry such as Cocoa-Cola and Mars. “And Now A Word From Our Sponsors“ highlights how the Academy of Nutrition and Dietetics in the US has serious credibility problem due to their incredibly close association with the junk food industry. Dieticians New Zealand, Australia, UK and the USA all have varied but similar involvements/corporate partners such as Campbell’s, Grains and Legume Council, Nestle, Unilever, Abbott, Nutricia, belVit breakfast biscuits, and Pepsi. These same dietician organisations then have affiliations with their countries diabetes board, food standards, Universities, nutrition societies, Ministry Of Health, Exercise and Sports Science Australia, Healthy Kids Assoc, Kidney Health Aust etc. The US Academy of Dietetics goes even further and has an “Academy Mailing List Rental” (I kid you not) which “offers direct access to thousands of engaged, industry professionals”. Articles written on the website for Sugar Research Advisory Service of course are going to be biased. Just take a look at their article on sugar and dental health. There is very little regarding cutting back on sugar, but instead focuses on hygiene. And their FAQ “Is sugar fattening” shows this reply – “Sugars can be included as part of a healthy balanced diet. Many people believe sugars are fattening however scientific reports do not point to sugars as a direct cause of obesity”. So do we believe them? Fat guidelines should never have been introduced, so why aren’t they removed? All the studies were done by fat middle aged men on fat middle aged men. Elle Magazine – If the low fat diet was a lie, what the hell should we eat? Telegraph – No link found between saturated fat and heart disease. Reuters – The Fat Fight: Study fuels row over Uk and US diet guidelines. 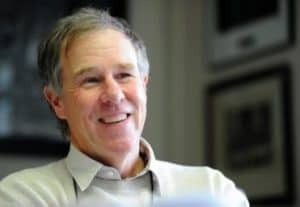 TimesLiveSA – We’ve been sold a big fat lie. Time Magazine– Ending the war on fat. Telegraph – Guidelines to avoid fat should never have been introduced. Watch how the “Wisdom of Crowds” compares to the “Vison Of The Anointed”. My feeling: if the manufacturer being the sponsor is a reason why there is a flawed guideline, then why don’t coconut oil manufacturer and pig farmer do the same and sponsor that much for the research? This way, they can dedemonize themselves and even promote themselves as good ingredient, thus making them earn more also. If Coca Cola manages to succeed because they are willing to fork out LOTS of money for the research to mislead, others can also. If a conspiracy works one way, it shall work the other way also, shan’t it? Yes, in an ideal world this would be amazing, but just think about how much money a huge worldwide giant like Coca-Cola has, compared to an individual pig farmer or a coconut oil manufacturer – it’s not really fair competition. 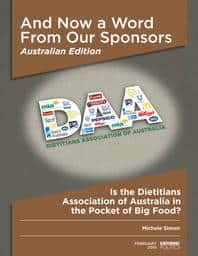 Additionally, giants like Coca-Cola sponsor dieticians associations (who have a hand in writing the guidelines then educating the public using them) and big food giants have lobbyists in the government, they also sponsor fridges in the shops so that the shop may only stock their products and not their competitor. Sadly this is not free and fair economy that we live in. The only way we can help, is by voting with out wallets. Buy the real food, not the processed junk that is groaning on our supermarket shelves. Hi Libby, Awesome article. I’m working with the Healthy Nation Coalition and other LCHF leaders right now on a project to take decisive action, just as your suggesting. Please email me, and I’d be happy to provide more details. We’d love your help and insight! Adam that sounds brilliant. Collaboration is the key. There are scientists who can argue the science and debate the intricacies and current research, then there are the bloggers which are getting the message out there and have an incredible influence and ‘social circle’. Science is no good if no one can figure out what to eat on a daily basis, and recipe blogs are no good if there isn’t anyone battling for LCHF higher up the food chain of power 😉 Getting these two together is what I feel needs to happen. Libby (I’ll be in touch). Agree 100%, and looking forward to connecting. Beautiful site, by the way! In the USA our kids have about 40-60 minutes of a class called “Health.” Yes, they do. If not health, they have a class called “PE.” Yes, they do. If we could even hammer home ONE tenet to them in this hour class at this young school age, it should be don’t eat anything with added sugar except as a treat and treats should not be more than once per day, if that. The amount of sugared food that oozes through our schools, extra-curriculars, churches, work places, and parties–it’s abominable. Pop Tarts, mini-muffins, cereal, candy bars, cookies, cakes, soda pops, candy, juice substitutes, fruit roll ups, fruit snacks. I believe in continued small steps for big change–and I think people understand “sugar” so we could definitely start there. Teaching them they have to read labels and if it has sugar–ditch it except on a special occasion. We have the time in public school to do it already set aside. Later, we could introduce the idea of other carbs, bad oils, etc–but sugar, sugar, sugar has to go! Absolutely agree. If all we do is teach them to read labels and see how much sugar is in products, then that would be an amazing leap forward. As much as we want our children to be literate, we also want them to have financial literacy and health literacy. All equally important as life lessons.